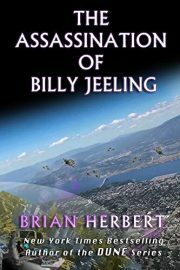 James Patrick Kelly has had an eclectic writing career. He has written novels, short stories, essays, reviews, poetry, plays and planetarium shows. His most recent book, a collection of stories, entitled The Wreck Of The Godspeed, was published in the summer of 2008. His short novel Burn won the Science Fiction Writers of America’s Nebula Award in 2007. 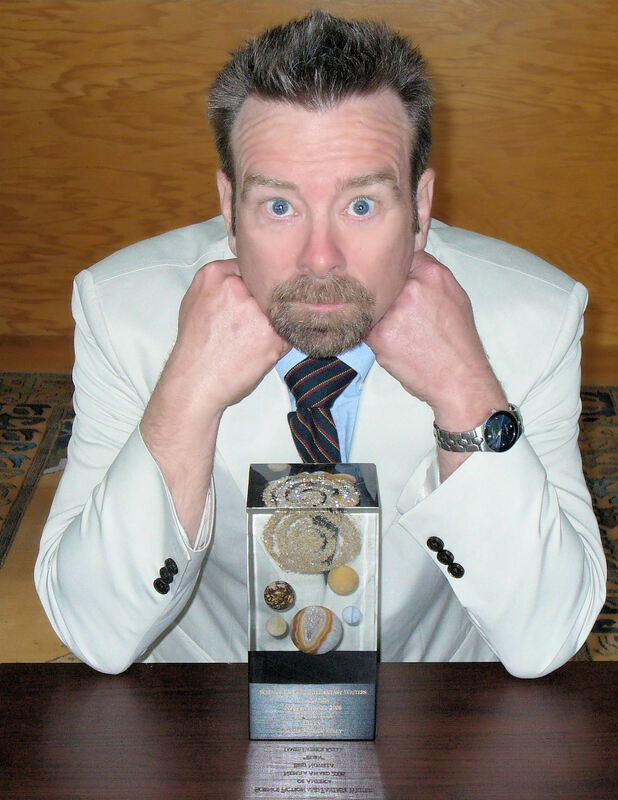 He has won the World Science Fiction Society’s Hugo Award twice: in 1996, for his novelette “Think Like A Dinosaur” and in 2000, for his novelette “Ten to the Sixteenth to One.” His fiction has been translated into eighteen languages. With John Kessel he is co-editor of Kafkaesque: Stories Inspired by Franz Kafka, The Secret History Of Science Fiction, Feeling Very Strange: The Slipstream Anthology and Rewired: The Post Cyberpunk Anthology. He writes a column on the internet for Asimov’s Science Fiction Magazine and is on the faculty of the Stonecoast Creative Writing MFA Program at the University of Southern Maine and the Board of Directors of the Clarion Foundation. 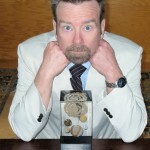 He produces two podcasts: James Patrick Kelly’s StoryPod on Audible and the Free Reads Podcast. His website is www.jimkelly.net. James Patrick Kelly has launched a new ebook ‘zine called James Patrick Kelly’s Strangeways, currently available on the Kindle and the Nook. 2 issues are out already. “Plus or Minus”continues a story which began with 2009’s Nebula-nominated (and similarly included in its year’s edition of Strahan’s Best of the Year) “Going Deep” In “Going Deep” Mariska thwarts her mother’s plans to explore the stars together by going into deep hibernation, only to find her mother waiting for her when she awakens three years later. In “Plus or Minus” Mariska jumps ship and joins the sanitation crew of an “asteroid bucket”to further the feud. What is that Mariska resents so much about her mother’s plans for her? I think that decisions that her mother made before Mariska was born made it impossible for her to have a normal life. I’m pretty sure that Natalya never even considered what Mariska might or might not want. Imagine this as an arranged wedding for political purposes and you’re almost there. Compounding that is Natalya’s abandonment of her daughter for most of her life, so that she could pursue her career on a starship. And then there is the simple fact that Mariska is a smart teenager and it is absolutely necessary for her to rebel in order to establish her identity. In “Going Deep” Mariska is not faced with too many decisions beyond the day-to-day, other than that final choice to, well, “go deep” In contrast, “Plus or Minus”sees her face much more complicated decisions, with more serious ethical implications and consequences. Mathematics and margin of error aside, is she ready for this? Well, yes and no. Of course, she does what needs doing in order to give the crew their best chance to survive. But she is not at all ready for the emotional cost of her command decisions. But then, I think that very few of us would be doing any better psychologically than she is at the end of “Plus Or Minus” She is crushed, but she is also resilient. There’s certainly a wider world we haven’t seen too much of in these two stories. Are you done with Mariska and Natalya, and if not, will we see the word count keep going up? There is another installment of Mariska’s story in Jonathan Strahan’s Eclipse 4, which should be in print just about now. It begins more or less the day after “Plus or Minus” Beyond that, I have my hopes, but I’m keeping them to myself for now. Talking too much about the work has jinxed projects in the past! The stories are told in the fairly tight third person of a teenage girl. You also use the female point of view in “Candy Art” among other stories. What does this perspective allow you to examine? I’ve told this story before, but it’s the answer, so once more with feeling: At the 1987 Sycamore Hill Writers workshop we saw a run of stories about men and women and what they do to one another. There was a late night bull session — I remember Pat Murphy and Karen Fowler and John Kessel and Brad Denton and I were there and others (Lisa Goldstein?) –and the question came up: what do men talk about when they are with other men? And then: what do women talk about only with women? For a while we had some ribald fun with this, until one of the women asked how many men in the room had ever written a scene in which two women were alone talking? Embarrassed silence. I knew I had done some (not enough) but I couldn’t think of any. The other men were similarly nonplussed. The women, however, cited chapter and verse of scenes they had written in which men spoke only to men. Leaving aside the literary quality of these stories (pretty damn high, considering the company) the fact remained that women writers routinely tried to recreate all-male conversations, scenes they could not possibly have witnessed. No similar stretch of the imagination was expected of the men. (For extra credit: try the Sycamore Hill test on some of your favorite writers.) The thing is, just about the only way to write scenes in which women talk to women is to write from a woman’s point of view. I don’t know whether it says something about me or the genre (probably me) but I’ve been nominated many times for stories with female protagonists but with one exception –“Itsy Bitsy Spider’s”Locus Award — I’ve never won. What do these award nominations continue to mean to you, the Nebula and Hugo nominations in particular? As a young wannabe writer, when I allowed myself to fantasize, I thought that someday I possibly luck into a Nebula, but my chances of copping a Hugo seemed about as remote as my chances of becoming a brain surgeon. But the whole awards process is fraught with psychological dangers for writers –at least for this writer. I have to work at not caring, because while talent may possibly get you nominated, there is clearly an element of luck in getting the award. Who are you up against? Where is the WorldCon and who is voting? Are the Nebula rules being revised again? Ay-yi-yi! I guess I’m no longer a wannabe, although sometime I still feel like one, and now I’m sure some are thinking that I’m on the ballot as one of the Usual-Suspects-Who- Gets-Nominated-All-The-Time. So how to process it all? If it should win a Nebula, would that make “Plus or Minus”a better story than all the nominees that lost? And when it doesn’t win –I’m 1-11, folks –does that make a story that I’m very proud of a loser? These are questions that are not good for my mental health, so I try really hard not to dwell on them. But it isn’t easy because winning is one of the great natural highs. It’s been over a decade (and four nominations) since you won a Hugo for your 1999 novelette “016 to 1” Is it a different award now that it was then? How has the convention changed? How has your writing changed? “0^16 to 1”and “Think Like a Dinosaur”(1995) have been included in much wider-scoped anthologies and references than the “year’s best”anthologies which are by now old hat for you. When a story is selected as one of the “best of the best”in a major multi-decade anthology, is this as much of a recognition as the major awards? What then of The Wesleyan Anthology of Science Fiction, which surveys more than 150 years? It was a great honor to be in the Wesleyan Anthology –with Nathaniel Hawthorne, no less — but books, alas, come and go. When my story “Rat”was selected for LeGuin’s Norton Book of Science Fiction, my inner English major did a backflip. But that book is fifteen years old now, and someday the Wesleyan book will be fifteen years old –assuming that there still are books in fifteen years! And the stories in them are by definition elderly –some more than others. What have I done for us lately? The simple fact is that being in one of these wonderful anthologies does not make writing the next story any easier. So again, I try not to think too much about this stuff. I’m not ready to release my Greatest Hits album yet. I feel like I still have something worthwhile to do going forward. This was possibly a misstep on our part. I do believe that these stories were not out of place on the table of contents, but their inclusion was seen in some quarters as an act of editorial hubris on our parts. Speaking for myself, but I think for John as well, the idea that a book like The Secret History of Science Fiction might someday be published was at the center of why I chose to write science fiction. But we knew all too well that there are literally dozens of other writers whose work could easily have fit our criteria. You’ve now co-edited three anthologies with Kessel for Tachyon Publications: Feeling Very Strange: The Slipstream Anthology, Rewired: The Post-Cyberpunk Anthology, and The Secret History of Science Fiction. With a fourth due out in November, Kafkaesque: Stories Inspired by Franz Kafka, how has your process of co-editing progressed? How did it start, and are you ready for more? I think we have a kind of system, although each book is different insofar as one or the other of us seems to take the lead either in choosing stories or writing the introduction or choosing the interstitial matter, which in my opinion, is one of the most important features of these books. We usually rough out a list of writers who we think should be in the books and then go to their bilbliographies to find stories that help make our argument, when we have one. We rarely disagree about the final choice of any story, although we may offer counter-suggestions to one another. We began with Feeling Very Strange when Jacob Weisman approached me to do the book, probably based on the very comfortable working relationship we established when he published my short novel Burn. A proto-canonical slipstream anthology seemed like way too much work for me to do by myself, and so I suggested bringing John on. This was perhaps the savviest move I have ever made in publishing, because we complement each other so well and because there is always one of us to drag the other over the inevitable rough patches in putting the books together. Probably the hardest part is chasing down the permissions from our “mainstream”writers –often as not they don’t control the rights to their own stories! How long have you been teaching at the Stonecoast MFA program at the University of Southern Maine? The Stonecoast “popular fiction” faculty also includes David Anthony Durham, Elizabeth Hand, and Nancy Holder, among others. How does the Stonecoast program work, and what is your approach to teaching popular fiction? I begin with two fundamental premises: my students would like to be well published and they understand “popular fiction” to be a term of approbation. When we gather for residencies at Stonecoast, we workshop stories. This happens twice a year, in January and July. The rest of the year I work one on one with four students who send me manuscripts that I critique. If I have any superpower it is as a story doctor and that’s what I try to offer, keeping in mind that the goal is for the students to find their own voices and not to be Jim Kelly clones. You also serve as the Vice Chairman for the Clarion Foundation, which you attended as a student twice and to which you have returned as an instructor seven times. Why are you so passionate about workshopping as the best tool for teaching the craft of fiction? In my opinion the best way to learn to write stories is to write them as well as you can and then take them apart again, and since I am still learning to write, I’m an admitted workshop junkie. I broke into print with a workshop story, almost all my best work has withstood the slings and arrows of critique and I participate in a regular workshop to this day. The value of workshop is specificity of focus. The group can’t take into account theory or intent or reputation; it can only address what is on the page. You’ve been writing the column “On the Net”for Asimov’s since 1998. Wow. Yes, I am definitely croggled when I contemplate having committed seventy of these things. I have from time to time tried to imagine how I might cobble them together into some kind of booklike object. The problem is, the earliest columns talk about an Internet so unlike the one we surf so effortlessly today, that there would be more explanatory footnotes than sentences! In the January 2011 installment, you wrote about the “rewiring”that click-happy surfing of the Internet can cause in the brain, citing studies both for and against the argument “Is Google making us stupid?”What do you think, is “your brain on Facebook”a net good for humanity? In your June 2011 installment, you give a fairly passionate defense of …fanfic. Is there a statute of limitations, or can people dive write in and start writing a prequel for “Going Deep”right away? Jim sez, go for it! I have been posting stories on my website under a Creative Commons Attribution-NonCommercial 3.0 Unported License. That means I give you permission to share and remix the work as long as you attribute the original to me and don’t cash in on my work. Your most recent publication is “Happy Ending 2.0”in the March-April 2011 issue of The Magazine of Fantasy & Science Fiction. Introduced as “a crafty little tale” the story takes place in New Hampshire, on whose State Council for the Arts you sit, and concerns a couple trying to rekindle their relationship in the place where it began, a family cabin in “the stony heart of the White Mountains” If this an infomercial for New Hampshire tourism, it may have one-sided appeal. Actually the germ of the idea for “Happy Ending 2.0”came from a dream I had after seeing an amazing adaptation of Macbeth called Sleep No More. In the show, the audience chases the actors around a sprawling funhouse like “set”– instead of scenes there are many, many rooms you can wander through and explore, sometimes with the actors, sometimes by yourself. Its currently playing in New York to sold out performances. And for those keeping track at home, “Happy Ending 2.0”was workshopped and the title was suggested by Alexander Jablokov. Thanks very much for your time, Mr. Kelly. And good luck with the Nebula voters! Thanks. Keep reading them and I’ll keep writing them. Samuel Montgomery-Blinn is the editor and publisher of Bull Spec [bullspec.com], a quarterly magazine of speculative fiction.